I invite you to join my community and be the first to know when I release a new recipe, article, podcast, video, webinar or other helpful resource. Plus, receive your FREE Ebook : The Essential Guide to Supercharge Your Brain. Are you ready to cook delicious meals that enhance your health? With over 30 years in practice as a functional medicine doctor, I've taught patients how to transform their health with plant-based, paleo-style dishes and I want to share this information with you. Have You Tried Fennel Yet? If you haven’t tried fennel yet, you’re missing out on its powerful benefits to support healthy-aging! Fennel is that unusual veggie that looks like a cross between a white onion and celery, with stalks forming a crown of green feathery fronds. Its mild anise, or licorice flavor has made it a favorite in both Italian and French cooking, where it is featured in the classic fisherman’s soup of France, bouillabaisse. 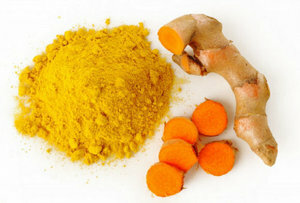 Study shows CURRY SPICES IMPROVE BLOOD FLOW, heart health; get the recipe! Curry is a magical blend of spices that has been a staple in Indian homes for centuries and its use has spread throughout Asia and the world. While there are endless combinations, most curries blend turmeric, ginger, cumin, cinnamon, or clove with garlic, onion and red chilies. After decades of focus on the heart, cardiovascular disease still remains the leading cause of death in the United States. But it doesn’t have to be this way: we now know that most heart disease can be prevented and even reversed! Yet nearly half of adult Americans have high blood pressure. And most don’t know it. Nor do they realize that high blood pressure leads to heart attacks and stroke. So instead of giving candy hearts and wilting flowers this V-Day, here are some simple but lasting ways to keep your heart open and express affection to those you love. Recipes that empower you with the knowledge to create fabulous food you will love to eat! reduce inflammation, optimize blood sugar and more. on Dr. Holly Lucille's Show, "Mindful Medicine"